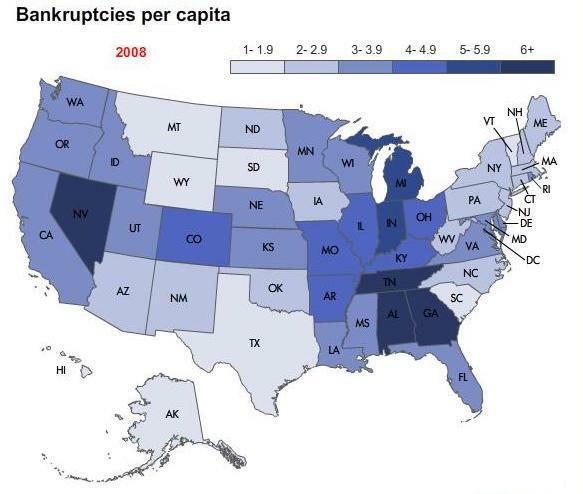 With all the stories in the news about Nevada and Florida’s housing bubble bursting and home prices tanking, you might think that those states rank the highest in America for bankruptcies. But, that’s actually not the case. The country’s southern states are actually fairing worse than the current financial crisis’ high profile states that make the nightly news.